'Live' With The Fred Hersch Pocket Orchestra Jazz critic Kevin Whitehead reviews a new album from the prolific composer and pianist Fred Hersch. It's called Fred Hersch Pocket Orchestra, Live at the Jazz Standard. 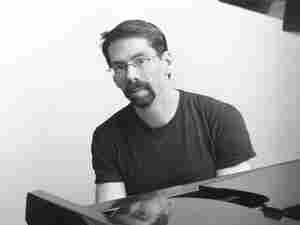 Pianist and composer Fred Hersch has performed in solo, duo, trio and quintet settings. In 2003, he received a Guggenheim Memorial Fellowship, which he used to create Leaves of Grass, a composition inspired by the poems of Walt Whitman. Fred Hersch Pocket Orchestra: Live at Jazz Standard is his newest album, coming on the heels of a 2006 solo disc, Fred Hersch in Amsterdam: Live at the Bimhuis. Fresh Air's jazz critic has a review.